Rugged coastlines and hidden sandy beaches, towering cliffs and pristine forests of foreigners suspected not necessarily on an island that is known for its healing powers. 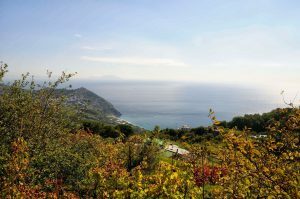 But the mild climate and the clear sea air make Ischia a paradise for demanding NATURE LOVERS. A paradise for hikers. 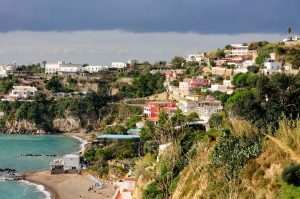 Ischia is called with quite the “GREEN ISLAND”. Everywhere lush greenery and colored lights. 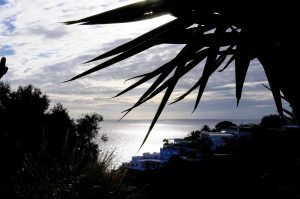 Evergreen are olives, palms, agaves, cypress, eucalyptus and many semi-wild and wild bushes and weeds proliferating. 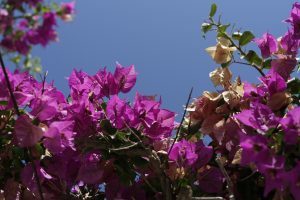 carrying the blossoms of the oleander and Bugainvilleaalleen, orange and lemon trees flowers and fruits simultaneously, pine forests and extensive vineyards which extend along the scenic coastal roads, is infinite. The wine is the most important and most beautiful product of the Emerald Isle. The annual output of several million liters is almost exclusively drunk on the island, as a drink by the natives as a luxury food from strangers. The color appearance of Silhouette Island is constantly changing depending on the location of the observer and the weather. The living painting oscillates in countless shades of bright dry Tuff to yellow over all possible shades of green and brown out, bare rock canyons to the black lava. Again and again there are stunning views of the deep blue sea with rocky promontories that line the beaches. 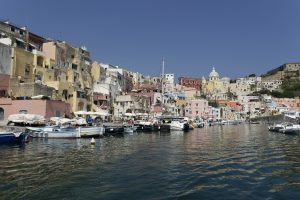 These spoiled Ischia guests with small picturesque town, whose ancient culture a visit and worth of course with Italian Dolce Vita.